The next chapter in the Elder Scrolls saga arrives from the Bethesda Game Studios. 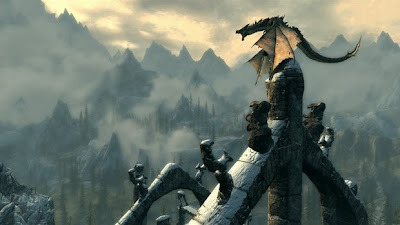 Skyrim reimagines the open-world fantasy epic, bringing to life a complete virtual world open for you to explore any way you choose. Play any type of character you can imagine, and do whatever you want; the legendary freedom of choice, storytelling, and adventure of The Elder Scrolls is realized like never before. 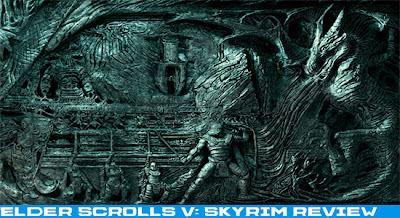 Elder Scrolls returns bringing with it an RPG of massive proportions that will still leave you wanting more. 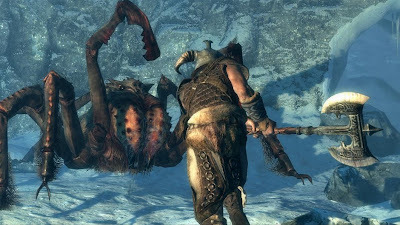 There is no denying the greatness put forth by this game and it definitely pushes the capabilities RPG games can reach given the chance.Skyrim’s story is a great piece of work and all the stories found within books were very well written even though they did not affect the overall plot. The developers managed to keep all of the old school feel without chasing away new players with an overburdening character system. Almost every single mechanic has been reworked and fine-tuned making this the best Elder Scrolls game by far. Some new features have been added and while these aren’t the most efficient additions they add a charm that the previous games lacked. The most notable addition comes in the form of “giant scaled flying lizards”. These creatures have also been called “dragons” from time to time. Dragons make their debut and steal the spotlight from practically everything in this game taking focus in the overall plot. The graphics are gorgeous and will certainly have you exploring for endless hours. Elder Scrolls finally fixed fast travel and quest tracker, two features that were semi-disoriented in previous titles. Some may consider these features a simplicity for the layman, however they make the game more tolerable and lower “nerd rage” levels. The soundtrack is excellent with some horrifying music especially when random dragons decide to torch your town. My favorite feature comes in the form of dedicated players and modding. Elder Scrolls has one of the most devote followings and it shows with all the mods, which make this already amazing game even better. Overall I was truly impressed however no game can ever be perfect and Bethesda knows this better than anyone. Even though Bethesda is sometimes only the publishing company they always seem to find their share of backlash when it comes to crippling bugs and lack of customer support. Their last couple games have had trouble, Fallout New Vegas, and Rage just to name a few. PS3 users struggled with getting this game to even run especially on older hardware consoles. Xbox 360 users had some drastic texture issues and graphical bugs. PC users benefitted the most but they were still plagued by some of the obscure bugs. My personal bug was a dragon I fought being able to dive into the ground and revive all of his health and then kill me while underground. While a majority of the games bugs were fixed with a week or so some PS3 users are still unable to play the game. Aside from this there were some voice acting issues with ridiculous accents and inconsistent sound patterns. Often you would have several NPCs chattering in the background while you’re trying to communicate for a quest with another. Not surprisingly enough modders managed to fix a majority of the games bugs before the developers even became aware of them. In the end this game may have some hardware flaws, but if you manage to avoid them or get them fixed you are in for a real treat. 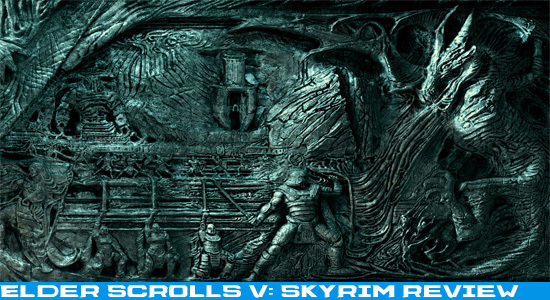 Elder Scrolls: Skyrim is the most refined title of the series and a perfect place for newcomers to jump in. If you love RPGs there is absolutely no reason to avoid this game, it is a masterpiece. It will definitely win loads of awards and no doubt open up a whole new window for RPG developers to experiment with. While some of the newer additions such as marriage seem kind of tacky and slapped together, they are still vital in helping with immersion. At the end of the day if you play games there is no reason not to give this game a try it has something for almost everybody.